Who is the Niagara Land Trust? How many properties does the NLT currently own or manage? What are the geographic boundaries of the NLT? What type of land does the NLT protect? How does NLT acquire land? Are there any tax implications if I donate property to the NLT? Do you ever foresee a time when the NLT would sell any of their properties? If I donate my property, who will maintain it? What type of maintenance will be done? What do you do about trespassing? What do you do about security? What do you do with a property once you have ownership and it has been restored to its natural state? Who has access? What types of activities are permitted? Eg. Camping? ATVs? How does the NLT ensure it will be able to maintain properties in the future? What happens if the NLT ceases to operate? Do you do any landscape restoration on lands not owner by the NLT? Can you recommend someone who does? What are the next steps for the NLT? Land trusts, also known as land conservancies, are charitable organizations that, as all or part of their mission, actively work to conserve land with natural, agricultural, recreational, scenic, or historical value(s). These organizations create public benefit through environmental protection, ecological services, agricultural production, education programs, and in some cases the creation of passive recreational opportunities thereby improving the quality of life for all citizens. Land trusts accept donations and bequests of land and conservation agreements and in some cases may purchase land or conservation agreements. The land is then permanently protected to preserve its conservation, heritage or agricultural values. Land trusts are supported with memberships, services and donations from generous residents in the communities they serve. Conservation agreements are voluntary legal agreements that restrict specified activities for a conservation purpose on a property, or parts of a property, while leaving the property title in private hands. Conservation agreements are registered on title, and bind all future owners to their conditions. Landowners can still sell or otherwise dispose of the property under the conservation agreement, but the NLT has the legal right to enforce restrictions on the new owners. No, they are independent, entrepreneurial organizations that are made up of members of the community that work with private landowners who are interested in protecting open spaces. 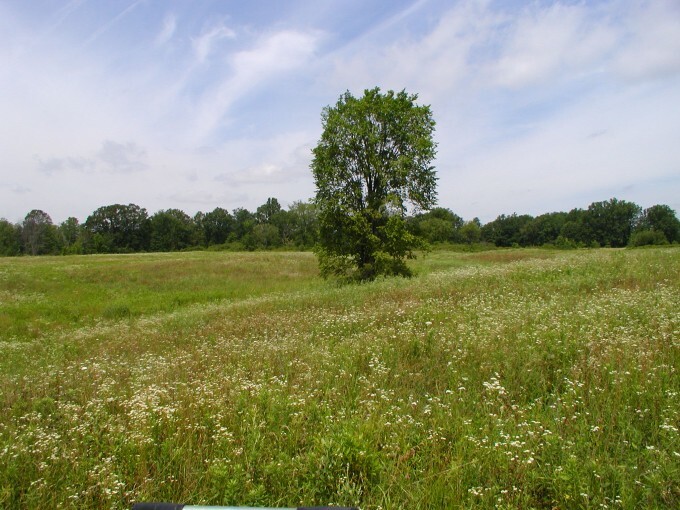 Land trusts often work cooperatively with government agencies by partnering to acquire or manage land, researching open space needs and priorities, or assisting in the development of community open space plans. Some Canadian land trusts have a small staff and all rely on volunteers to support their efforts. The Niagara Land Trust (NLT) was incorporated in 2008 and became a Federal Registered Charity in March 2009. The NLT is run entirely by a volunteer Board of Directors and is actively seeking additional volunteers for property stewardship, committees and its membership. The NLT is audited annually. The NLT is protecting a 50 acre farm in the St. John’s Valley, Pelham. The NLT, Land Securement and Review Committee is continually reviewing potential properties. The geographical boundary is based on the Niagara Peninsula’s watershed boundaries. The NLT’s boundaries are formed by Lake Ontario to the north, Lake Erie to the south, the Grand River to the west and the headwaters of the Welland to the north west. The NLT protects lands and waters of natural, agricultural and cultural significance. NLT reviews prospective properties to assess their significance and their contribution towards our strategic goals. NLT will consider all opportunities or projects that come to our attention. More importantly though, the NLT hopes to become the primary means for the communities of the Niagara Peninsula to protect their natural heritage and landscapes so a verdant and prosperous future for their children is ensured. As a charity our preferred method is to accept properties through the outright donation of the property or conservation agreement. In cases of available properties in high priority areas we may also purchase properties or conservation agreements. There can also be “split arrangements” where is there is both a donation and purchase of the property or conservation agreement. The NLT will also work closely with landowners in order to fulfill their estate planning goals. Each case is unique and donors need to consult their own advisers before finalizing any agreements. There are often substantial tax benefits arising from a donation of land. The NLT will issue a charitable receipt for the appraised value of the property or a conservation agreement at the date of transfer. Donations of natural lands which qualify as Eco-Gifts receive favourable status under the Income Tax Act in that they are exempt from Capital Gains. NLT respects the wishes of its donors and in the process leading up to a gift we will work with the prospective donor to fulfill their wishes about the future of your property. Donors typically help to develop the conservation principles that will guide future management. That said, the NLT avoids binding conditions because as managers of the land in perpetuity we cannot know what circumstances may arise 25, 50 or 100 years from now. We avoid words such as “never” and “always”. NLT has strong policies and ascribes to the Canadian Land Trust Standards and Practices. We would not manage a property in a manner inconsistent with those polices or our own Aims and Objects. In the case of Eco-Gifts there are federal controls over what we may do with your land. The primary intent is to hold property in perpetuity. NLT may, at its discretion, accept donations of real property as “Trade Lands” for the express purpose of selling such lands to support other projects. If this were the intent of the NLT, it would be made clear during the land donation process. Whether or not a property is donated and purchased there are some serious costs associated with the transfer of ownership. These include: legal fees, transfer taxes and registration costs, surveys, management plans, appraisals and so forth. There may also be immediate stewardship expenses to bring the property up to standards. Most importantly there is the need for a stewardship endowment for each property to provide income for its ongoing maintenance. NLT carefully estimates these costs and secures the required funding before accepting a property through gifts, fundraising and grants. Refusal may not be the right word. Typically for every successfully completed project there will be typically 8 to 10 preliminary inquiries. These do not progress for a number of reasons on the part of either the landowner or the land trust. NLT will decline properties that do not fit within our strategic objectives. Landowners usually help NLT to shape the conservation principles that will guide future stewardship. Donors are also encouraged to continue their involvement with the property by being a member of the Property Stewardship Committee and sharing their knowledge with others. Once the property belongs to the NLT the Board of Directors hold the final responsibility for all decisions. There will be a Property Stewardship Committee for each NLT property comprised of local volunteers who act as the eyes and ears of the NLT and who regularly inspect the property. The Stewards also help to develop annual work plans for the property and participate in volunteer work days. For larger tasks, the NLT will employ local contractors to undertake required activities. The stewardship management plan for each property will differ but the basics include looking out for invasive species, maintaining signage and fences, removing litter, keeping any trails open and removing any hazards. The Stewards report to the Science & Stewardship Committee and/or Board of Directors. The stewardship management plan for each property will include its intended uses. Some properties will be actively managed using sustainable practices for agriculture and forest products, other areas will have passive activities such as recreational trail systems and interpretive signage to welcome the public, and others will be protective areas with no activities at all. The specific uses are determined during the development of the stewardship management plan. Each NLT property will have a stewardship endowment. This is a sum of capital that is invested to produce an annual income equal to the anticipated fixed costs of ownership such as insurance, taxes, monitoring and maintenance. The capital is retained with only the interest being spent each year. YOU. Our biggest gifts come from private individuals and corporations donating cash. We will also be making grant applications to a wide range of private foundations and government programs. All donations to NLT are eligible for tax credits. Certainly. We can add any amount to a property’s stewardship endowment fund. Contact us. We have many opportunities throughout the year for volunteers to undertake. Tasks may include planting, invasive species control, clean up and trail maintenance. NLT does not undertake projects on private land except in those cases where we hold a conservation agreement. That being said, education and promoting good land stewardship is a primary objective of the NLT. Through our website, workshops, landowner contacts, newletters, and partnerships, we will actively promote and assist the community of Niagara to find or develop the sources to assist them in the conservation of their wonderful and invaluable natural resources. 1. Continue to introduce ourselves to the various levels of government and the major environmental organizations in the Niagara Peninsula. 2. Continue to review, assess properties brought to our attention throughout the Niagara Peninsula. 3. Continue to educate and outreach to people throughout the Niagara Peninsula. 4. Partner with the Nature Conservancy of Canada to undertake a review of the Niagara Peninsula’s state of the environment that will involve public consultations and establish a series of strategic tasks to direct the NLT over the next 5 years.